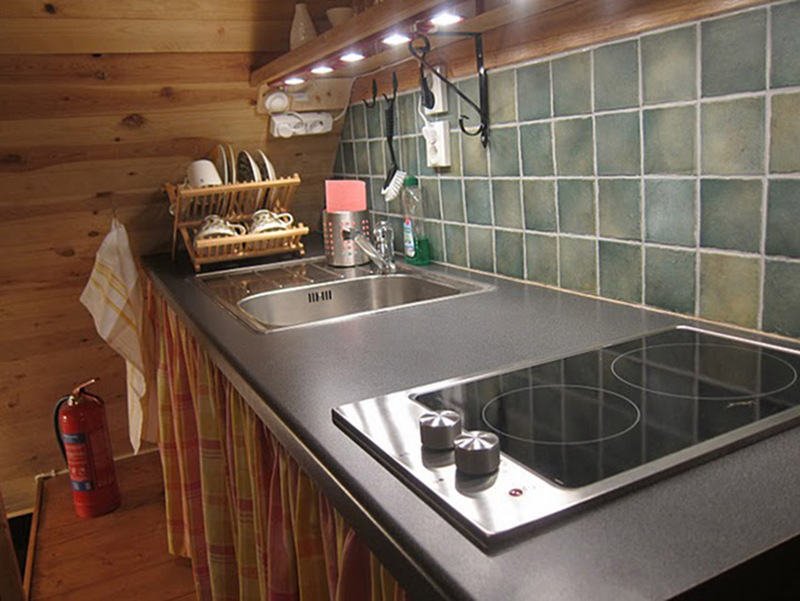 At the farm we also offer accommodation in the attic. 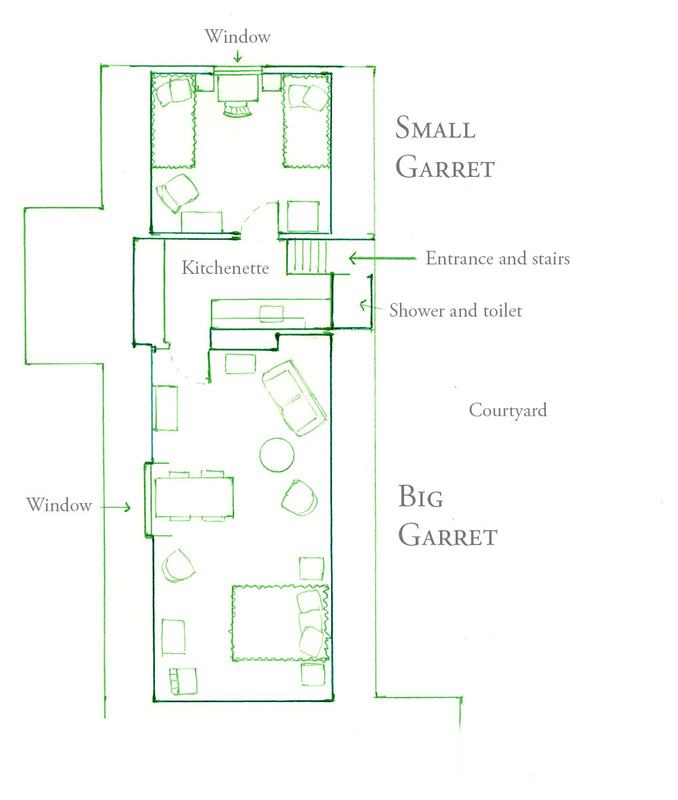 The small garret has two beds and a tranquil atmosphere. Bathroom with shower and a landing with kitchenette is shared with the big garret (if not vacant). 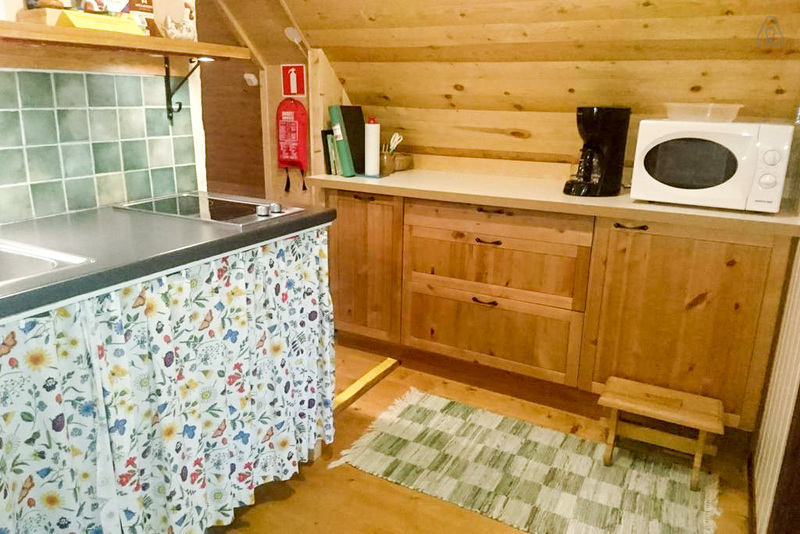 The accommodation is fully equipped for self-catering and the kitchenette contains a fridge, microwave, stove, coffee machine and an electric kettle. You only need to bring bedding, towels and food. Breakfast can be arranged. There are two bed and a window facing south in the small garret. 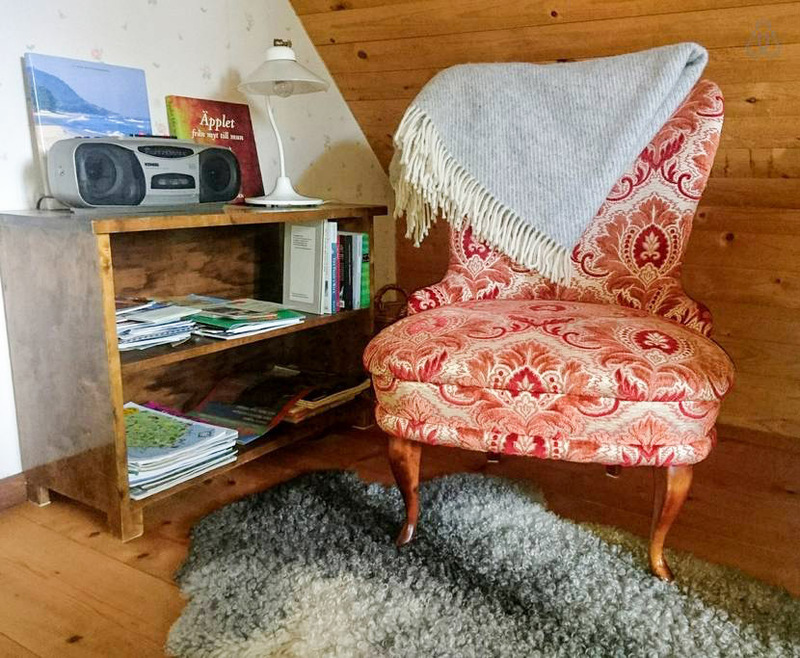 A cozy easy-chair for relaxed reading.